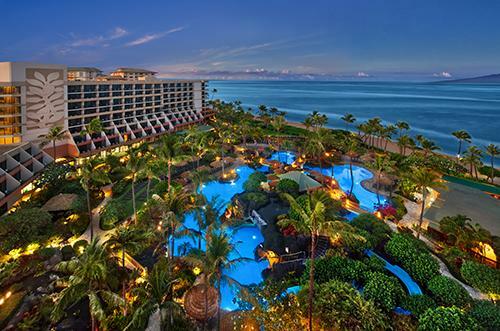 Marriott's Maui Ocean Club, located on Maui's renowned Kaanapali Beach, offers two- and three-bedroom villas. Enjoy the resort's pool with children's area, lagoons, waterslide, waterfalls, and whirlpool spas. Additional amenities include restaurants and a pool bar, fitness center, game room, laundry room, and children's activity center. 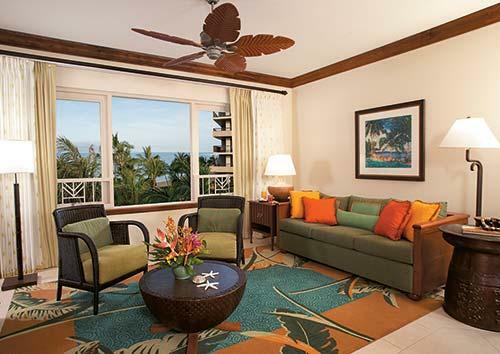 Villas feature private lanais, separate living and dining areas, and full kitchens. 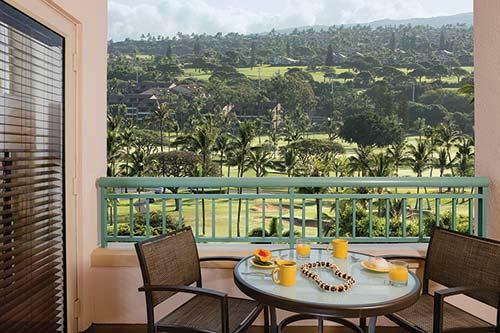 Adjacent to the property is the 36-hole Kaanapali Golf Course.